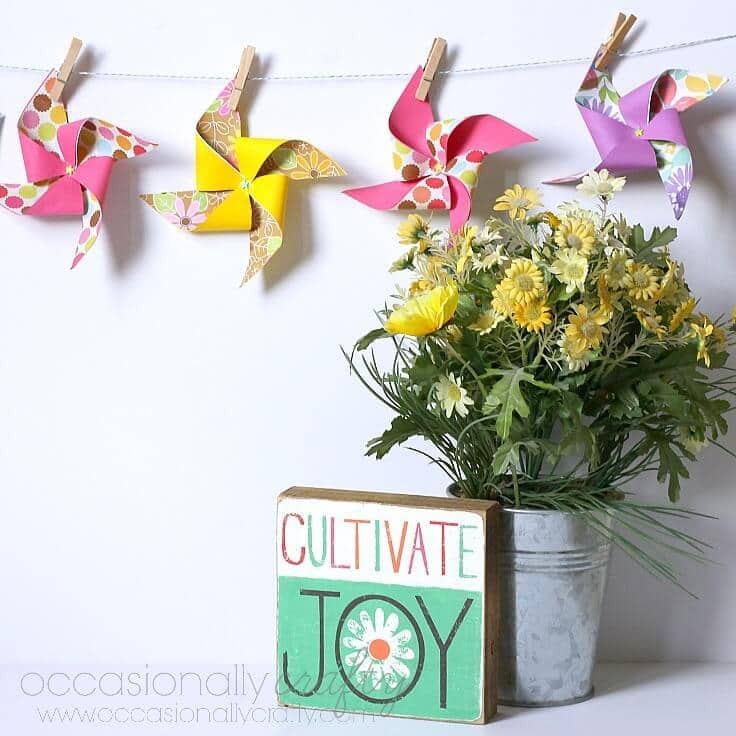 Hi everyone– I’m Valerie from Occasionally Crafty, and I’m thrilled to be a new member of the Creative Team! 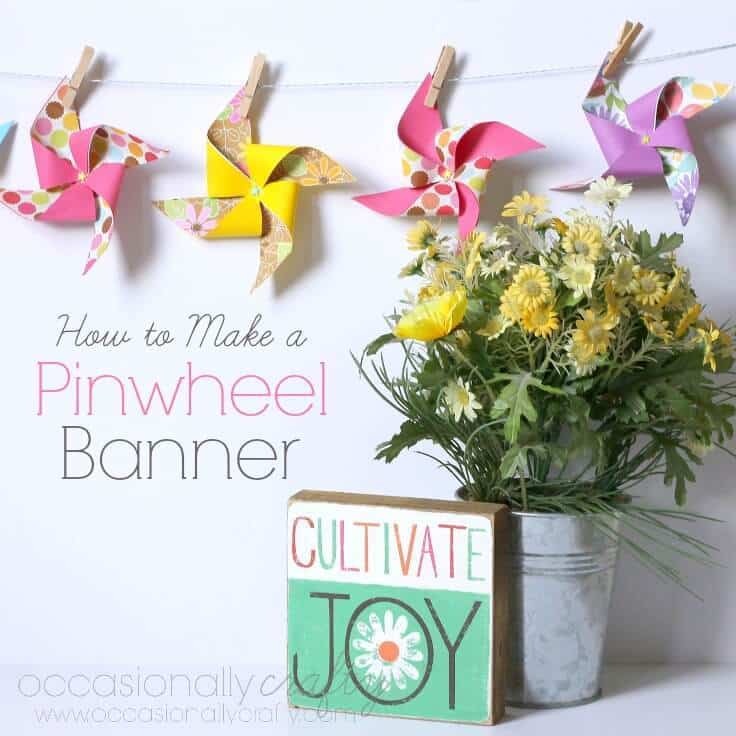 Today I made this Pinwheel Banner to display, and I’m going to share the tutorial with you! The bright colors in all the stores are calling my name for summer! I knew I wanted to put together something for my mantel that would bring those bright colors into my house. 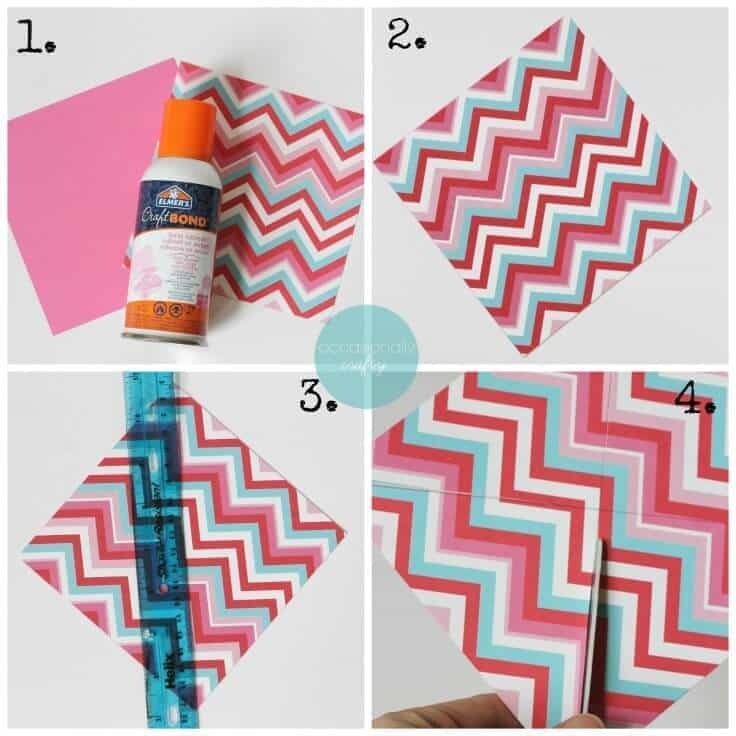 Step 1- Cut your paper into squares. Mine are 5 inches. Step 2- If your paper isn’t two sided, use your adhesive to glue your coordinating papers together, decorative sides facing out. Let the adhesive set/dry before cutting. Step 3- Using a ruler or straight edge, draw two diagonal lines from corner to corner, creating 4 sections. Step 4- Cut along each line, stopping about 1/4 inch from the center on each line. Step 5- Use scissors or a small punch to poke holes in every other corner of the paper, as well as one in the center. Step 6- Gently push your brad through each corner hole. Step 7- Carefully push the brad through the center of the paper. 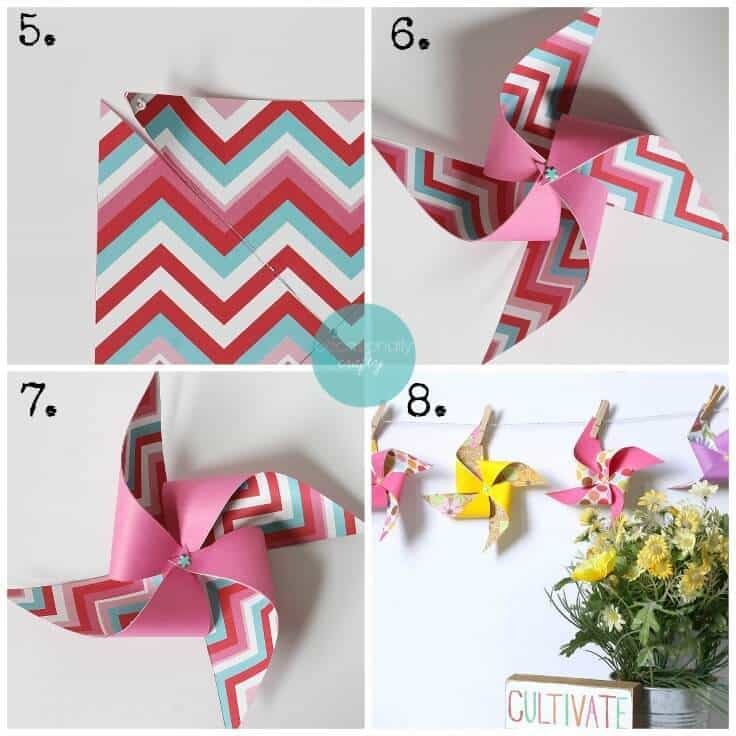 Make sure to open the prongs of your brad when finished to hold your pinwheel tight! 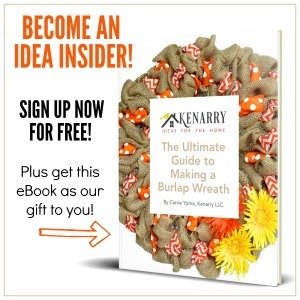 Step 8- To hang your banner, simply cut a length of twine or ribbon and secure to your mantel. 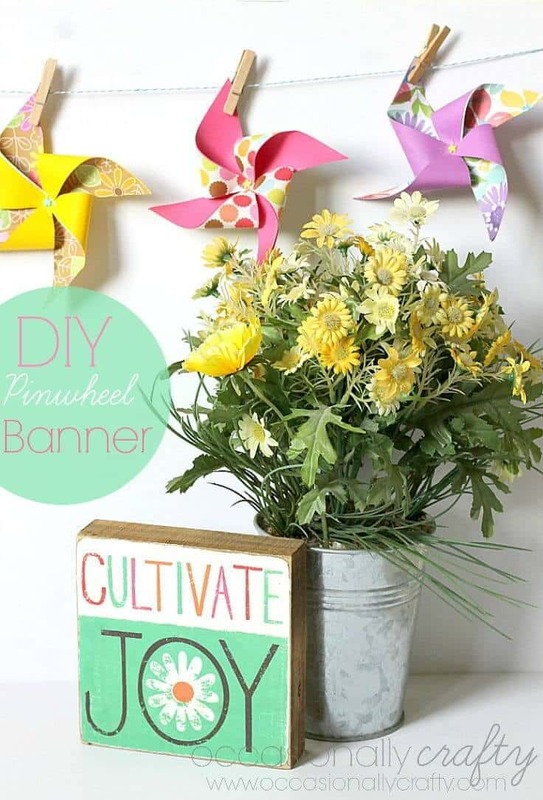 Use mini clothespins to attach your pinwheels to your twine, and you’re done! 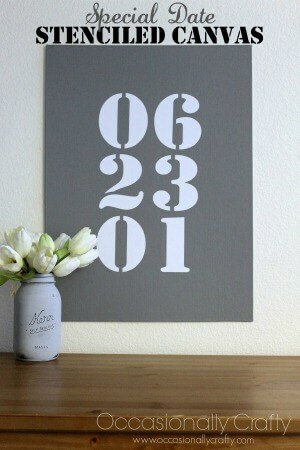 and my Special Date Stenciled Wall Canvas! 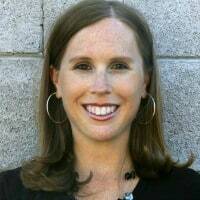 Valerie is a creative blogger, wife and mother, an avid reader, a sometimes crafter, and a lover of all things music. After graduating from BYU with a degree in music education, she moved to Phoenix to teach high school band. 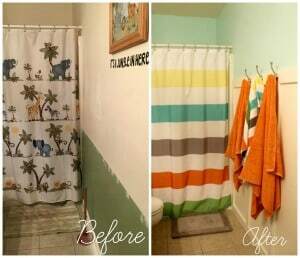 She left her teaching career to raise her three kids (currently 10, 8, and 5) and became a blogger in hopes of sharing her love of simple, beautiful projects with other busy women at Occasionally Crafty. Her favorite thing to make is anything for seasonal/holiday. She is happiest when at home with her family, snuggled up with a good book. Follow Valerie on Facebook, Twitter, Pinterest and Instagram. Such a sweet little craft! !